I ate the entire loaf. 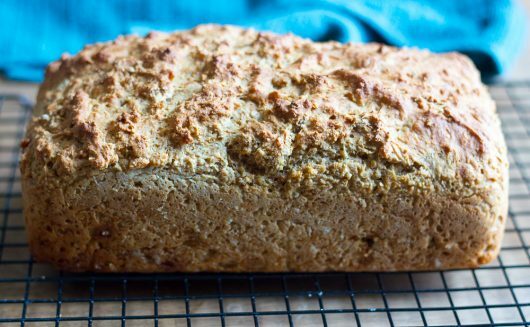 Irish Soda Bread is a cinch to make! 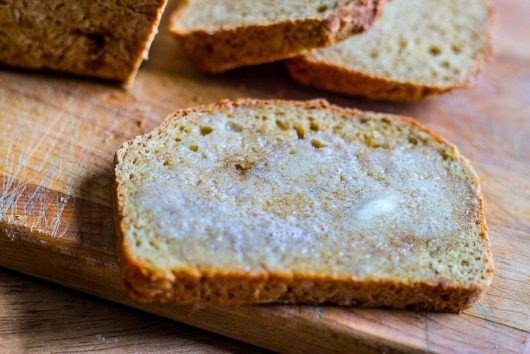 I make mine with hearty whole wheat, tangy buttermilk, and dark brown sugar. It’s irresistibly delicious. Now, I hope you won’t mind, but a little leprechaun will be assisting us in the kitchen today. She’s snowed-in, too. Historically-speaking, Irish soda bread is baked as a free-form ball, with a cross cut into the top to ward off evil spirits. Since I’m an unabashed heretic, I bake the dough in a loaf pan. This way I can easily slice the bread for delicious sandwiches and magnificent toast. 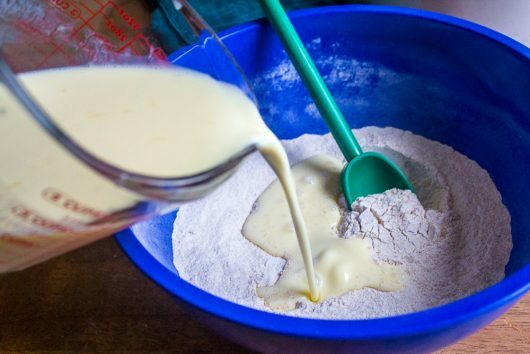 To start, pour 2 cups graham flour and 1 cup all-purpose flour into a big bowl. 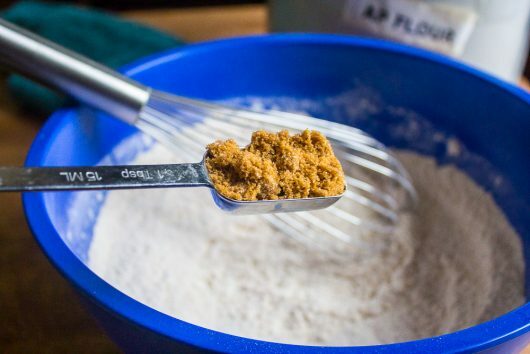 No graham flour in your pantry? 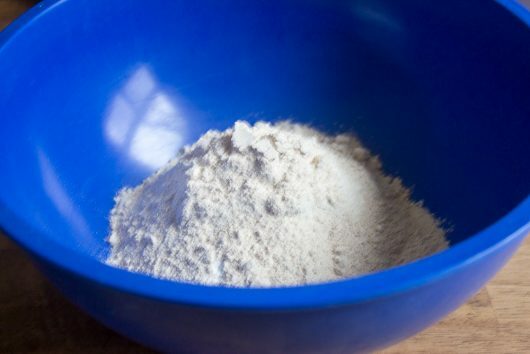 Use ordinary whole wheat flour. And 1 1/2 teaspoons of salt. *I dare you to produce a 19th-century Irish cook who will contradict the above statement. 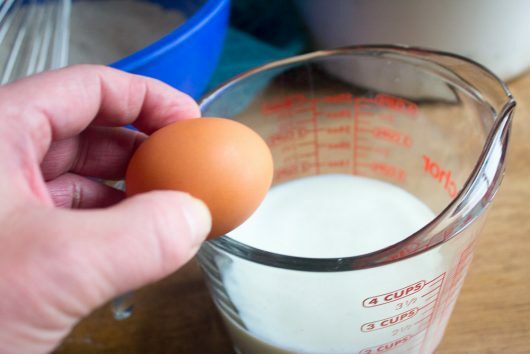 And use it to blend the wet ingredients into the dry. 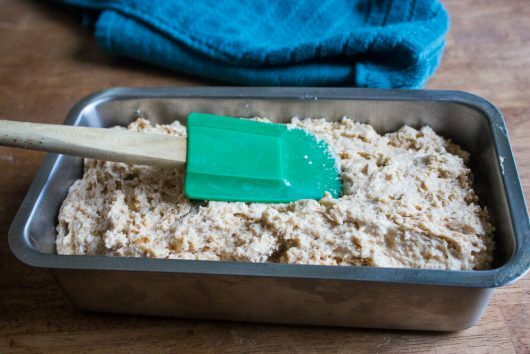 Scoop the dough into a generously buttered bread pan, and spread it out with a spatula. Bake until the bread rises about 1 inch above the rim of the pan, and the crust turns a beautiful shade of brown — 45-50 minutes. Let the loaf cool for 5 minutes in the pan, and then unmold it onto a wire rack. When completely cool, the bread will slice very easily. Folks, this bread is delicious as-is. It’s even better when toasted and topped with homemade butter. 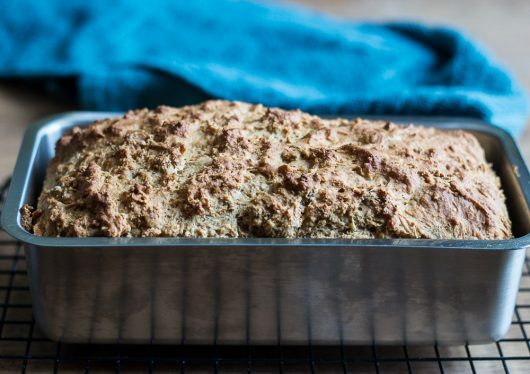 You don’t have to wait for St. Patrick’s Day to make this soda bread. You can make it today, during a snowstorm, just as I did. The snowstorm in question. 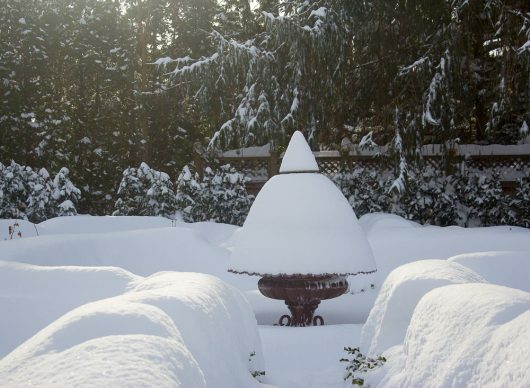 This photo was snapped early in the day, when my garden was still…recognizable. And here’s another photo, post-storm. Brrr! Did the “blizzard of 2017” strike your garden, too? 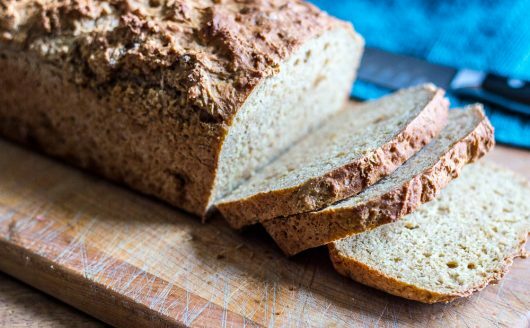 Console yourself with some Irish Soda Bread! 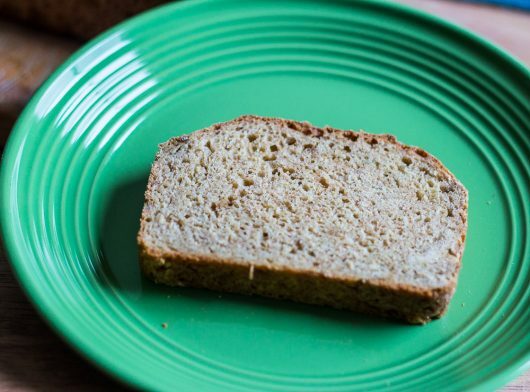 A quick bread for any day, and certainly for St. Patrick's Day! Delicious for sandwiches and toast. Center the oven rack; preheat the oven to 375°F. Grease a 9x5 (or 8x4) loaf pan. 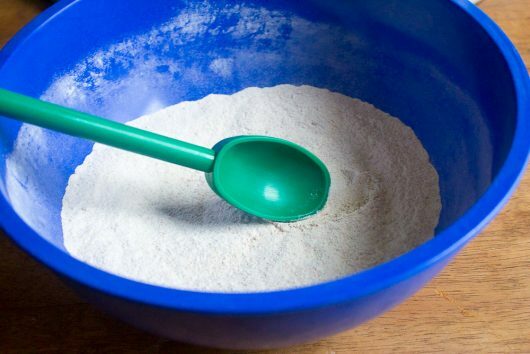 Whisk together the flours, baking soda, baking powder and salt. Then whisk in the brown sugar. 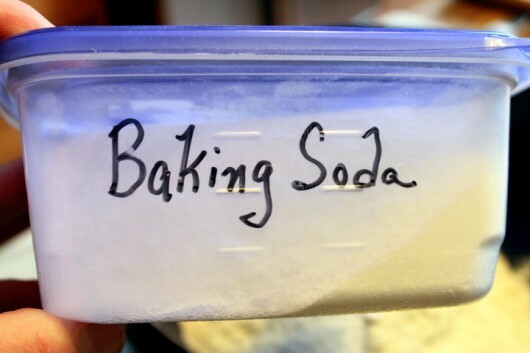 (Don’t worry about small clumps of sugar.) 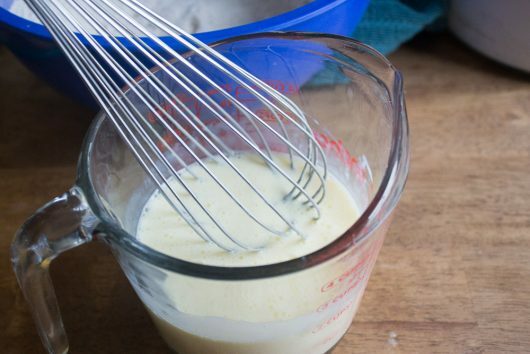 Whisk the beaten egg into the buttermilk. 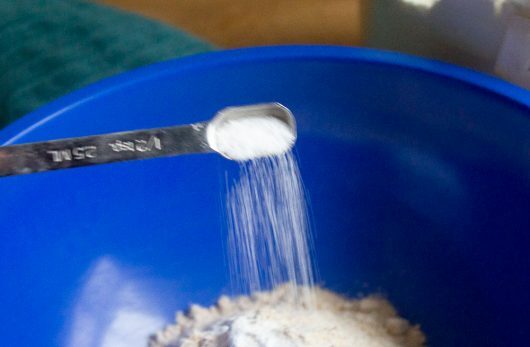 Using a stout spoon, stir the wet ingredients into the dry. Then scoop the dough into the prepared loaf pan. Use a spatula to distribute the dough evenly in the pan. Bake until the bread rises about 1 inch above the rim of the pan, and its crust sounds hollow when rapped with your knuckles — 45-50 minutes. Let cool for 5 minutes, and then unmold onto a wire rack. Cool completely before slicing. Chicken and Lemon Polpettine: The Video! Meet the New Washing Machine! Have made this many times and it never fails to please. Sometimes add some toasted chopped nuts and dried currants. Hi Mary – I’m glad you like this bread, and have found interesting variations for it. Happy St. Patrick’s Day to you! Didn’t you just finish shoveling the snow off your boxwood? The Irish soda bread looks delicious. 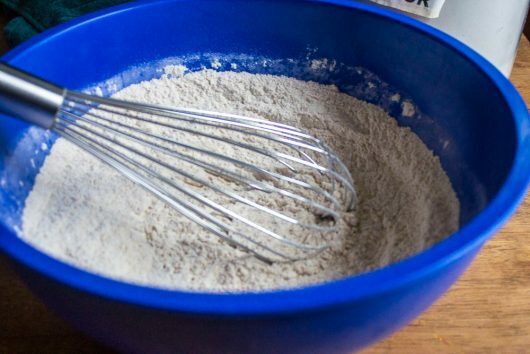 I’ll probably get some whole wheat flour next time I’m out and give this recipe a whirl! Western CT by the NY border got hit with heavy wet snow. 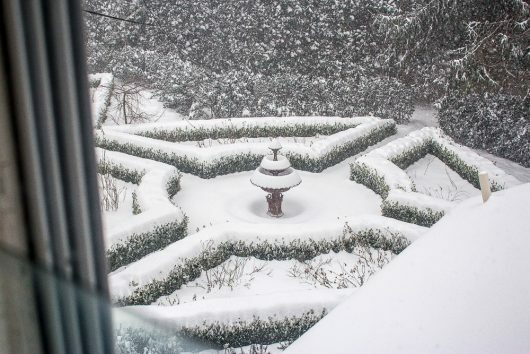 Question please- Why do your boxwoods look so clean of heavy snow? I actually thought about you personally yesterday when I was cleaning the two/three feet of snow off of my own topiaries. I wondered if you clean the heavy snow off of them to prevent damage. I have about thirty that are clipped tight and thus suffer with heavy snow as the branches suffer and they look like they will break any second. So I swoop the snow off with a snow rake and a broom. I look ridiculous but nothing ever breaks that way. It has when I refused to clean them and the weight of the snow breaks branches. Actually the snow cover is good for our plants with our bitter nights. My sister in Maine is still without power as they got a heavy wind but only about four inches snow but damaging winds on the coast. Hope everyone without power gets it soon. We’re having corned beef with red cabbage, and I had planned on making soda bread. Now, I don’t have to look up the recipe –thank, Kevin! We only got a couple inches of snow, here in Minnesota. There has been no sign of spring, except the lilacs are budding a little. I’d be really upset to have a blizzard cover the tulips and daffodils (it’s happened). I only plant late-blooming varieties, now, for that reason. Hi Jerry – Do give this bread a test-drive. I think you’ll like it! Hi Debbie – I snapped the garden picture early in the day, when the snow was only a foot high. In just a minute, I’ll post another picture, snapped post-storm. You are doing the right thing, knocking the snow from your boxwood. Less chance of breakage then. 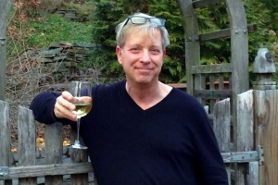 Hi John – Enjoy the bread! Thanks for the idea to use soda bread for sandwiches. Great. I’ve always eaten it as dessert or a side. This looks like a bread that I can make! I have tried making bread for years and it never rises but I don’t give up! Thanks! I have all the ingredients to make your bread. I’ll try it right now…no kneading; I love it. I anxiously await the next storm for another of your cold weather recipes and maybe a picture of your Leprechaun playing in the snow. sours the milk and seems to work great. Love your blog. Keep it coming!! I am very concerned – you did not mark a cross in the dough before baking, nor put in currants. This may lead to bad weather – see, it works. I make it drier shape into ball and bake in round dish, then eat with an adequate amount of corned brisket, cabbage and dark beer. it shouldn’t halt traffic quite like what everyone in the East is enduring right now. The bread looks great, Kevin. I’d eat the whole loaf too, if I could tolerate the gluten! Adore Irish Soda bread – like cake. I can eat a whole loaf. Wish it was available year round. 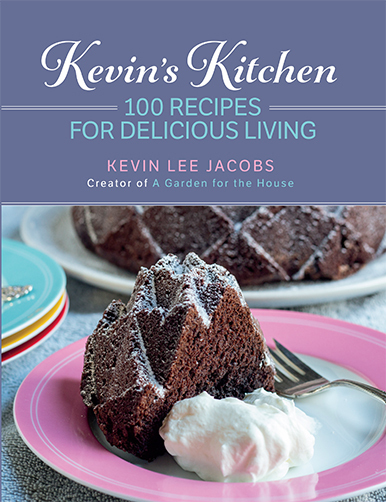 I am not a cook/baker, but I will keep your recipe on hand in case I get a craving in July…. Love your site! Since you have been doing the videos the whole thing played in your voice as I read it to myself. Kissin’ Blarney up in here, Kev!! Thanks for the bread recipe. Also, my girlfriend Mickey made this stew last time you gave it and said it was delicious!! And she is hard to please!! So, good job!! Bummer about all your snow. Can you harvest it for margaritas??!! Sounds like a terrific bread and the recipe is easy. I’ll try it! Why of course the storm hit my area! I’m on the other end of the state but I think you got it much worse then we did. I haven’t checked the seeds I winter sowed but I’m sure they will do okay. I can only hope. I will say my chickens HATED the storm. This is their first winter and they are not impressed. In fact I have a hen named Ginger who made it her mission to go to the doorway of the run to loudly complain and scold the snowflakes several times a day. I think she thought if she did it long and loud enough that the snow and wind would go away. The storm did manage to bring the baker out in me as we had plenty of eggs and baking helps to warm the house. So after two kinds of cookies, sweet rolls, a loaf of Pain de Mie bread, a batch of Greek yogurt and a nice pot of potato soup with bacon and cheese the house not only smelled wonderful but was quite warm. Speaking of eggs, I need really good recipes for eggs. In the thirty days I’ve had the chickens they have given me 125 eggs. And this is the off time for them. They aren’t laying in full swing yet!!! Had to try your soda bread recipe, but was out of white flour, so subbed t C. of Ivory wheat, instead. Also threw in a T. of caraway seed and about 1/3 C of Craisins. Came out like a loaf of heaven! Thank you for the recipe! It is worthy of printing and addu=ing to the permanent collection! BTW, When do you suppose you’ll be throwing another open house? Would like a tour and my wife and I aren’t that far away, here in NW Ct.
Love Soda Bread ! 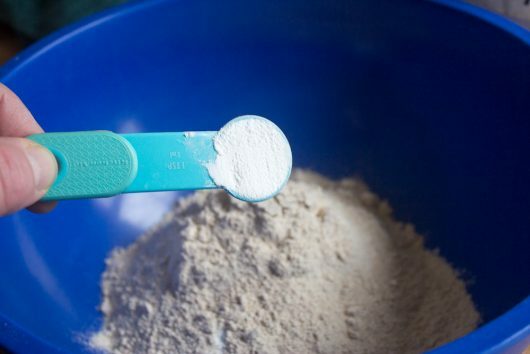 I have whole wheat flour which I use a lot! Is it possible to convert this recipe for Bread Machine using? I can make it in oven ,if not! This is healthy cooking! What a great way to spend a snow day inside with Lily, making bread. 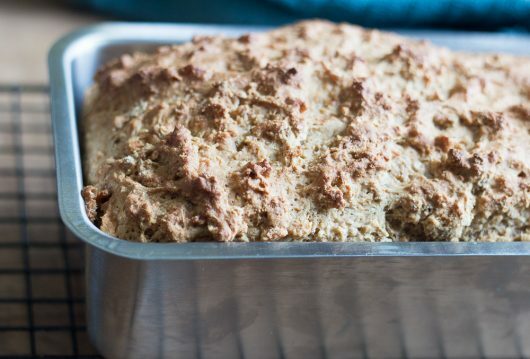 If I make this bread in a glass loaf pan, does the cook time or oven temp need to be changed ? Looking forward to trying it. We had a few inches of snow, but not nearly as much as you had, Kevin. That was quite the storm. Top of the morning to you Kevin, and I’m sure you’re wishing me the cream of the day. 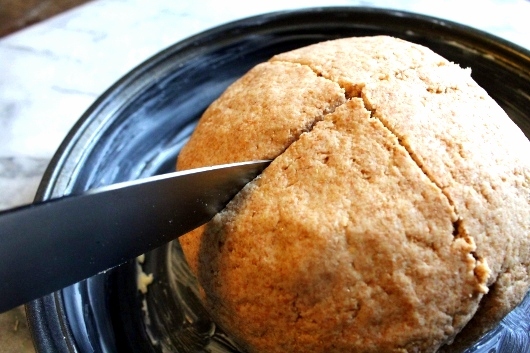 The “cream” of the day on our St. Patrick’s Day was your soda bread. Simple and delicious. It tasted just like the soda bread we had every morning in Lisdornvarna, Ireland, Homemade by Mrs. O Neil every morning. Thank you for another wonderful addition of your blog. 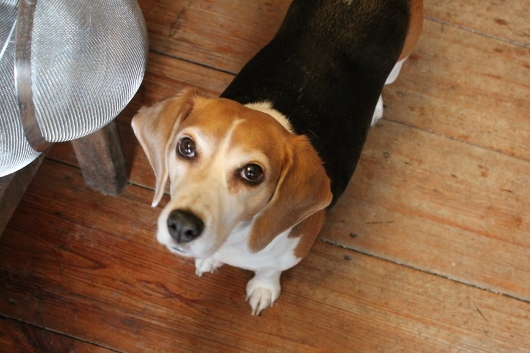 Just discovered your blog – what a delight. Parsley Parmesan is in the oven. This Irish bread sounds delicious so next on the list. And no snow in Perth Western Australia – ever! Hey, Kevin, I made this bread this morning (for St Patrick’s Day). I did not want to wait for 40 minutes, so put it into 8 smaller loaf pans for 25 minutes. Perfect. And now I’ve got a few smaller loaves to freeze for a later date. My wife LOVED it and ate the whole (small) loaf before I had a chance to eat mine. Thanks for a great recipe.